Hanoi (VNA) – As the host of the 44th Executive Board Meeting of the Organisation of Asia-Pacific News Agencies (OANA) from April 18-20, the Vietnam News Agency (VNA) has affirmed its role at the regional multilateral press forum. Opening the 10th OANA Executive Board Meeting, Vice Chairman of the Council of Ministers Nguyen Khanh highlighted the important role of information and communication in relations between individuals and collectives in each country, as well as in the development of friendship and cooperation between countries. The delegates adopted a review report of the meeting and an action programme for the OANA in 1990 in order to continue realising the targets of enhancing cooperation between regional news agencies, improving OANA news quality on the ANN in terms of both content and technology, expanding the exchange of photo news, training journalists and technicians, and pushing ahead with the computerisation of the information work of the news agencies, contributing to safeguarding peace, building stable friendship and cooperation for mutual development between countries in the region, and establishing international order in information and communication. 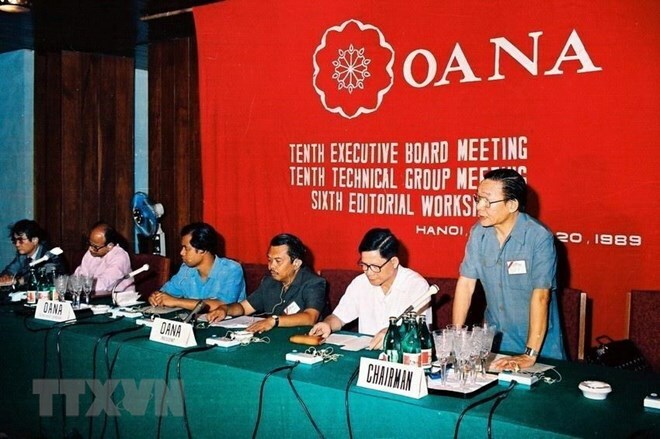 The 20th OANA Executive Board Meeting in Hanoi on October 26-27, 1999, saw the participation of 29 delegates representing nine out of the 11 members of the OANA Executive Board. In his opening remarks, Deputy Prime Minister Pham Gia Khiem said the coming into being and existence of the OANA has signaled efforts by journalists to contribute to equal integration, cooperation and friendship between countries, for regional peace, friendship, security and development. The 27th OANA Executive Board Meeting and the 21st meeting of the Editorial and Technical Experts Group took place in Hanoi on October 3, 2005. Addressing the event, Deputy PM Khiem stressed the importance of information and of the OANA member news agencies, explaining that information is a tool that serves the governance and management of each nation, an effective equipment to expand exchanges and increase mutual understanding between countries, a source of knowledge for the public and resources for socio-economic development. The agency’s official news is widely published on communication channels of its partners, contributing to improving the effectiveness of disseminating Vietnam’s external information to international friends.